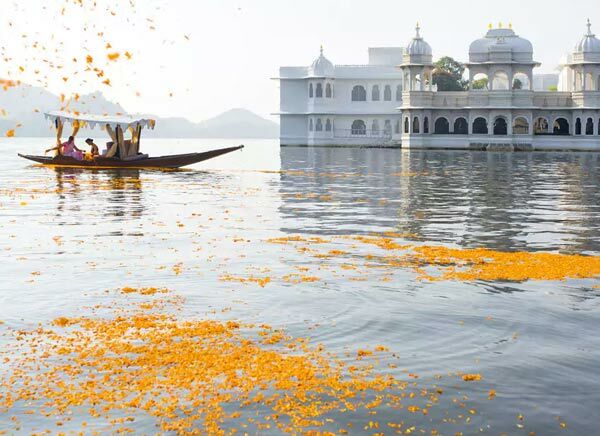 The elegance Rajasthan Itinerary comprises unique destinations with luxurious accommodation which offers an experience of authentic Rajasthan with its sustainable culture, renown heritage, lip smacking cuisine, rural lifestyle, gorgeous palaces , panoramic views and glorious history. Rajasthan has something for everyone.  On arrival at Delhi airport, you will be meet and greet by Travelogy India Representative.  He will guide you to your vehicle and proceed for hotel in Delhi. On arrive Check in formalities, Overnight at Delhi. 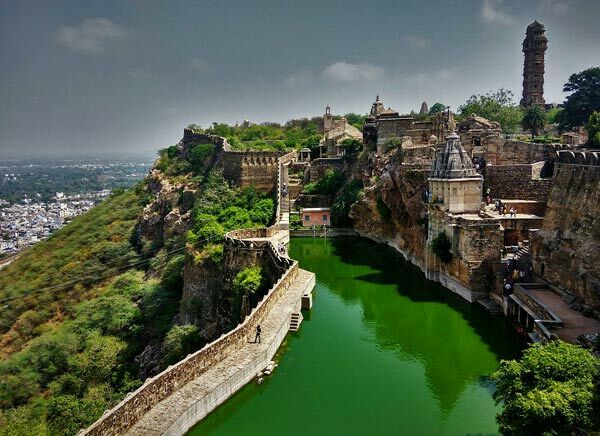 Delhi is idyllic destination to begin your Rajasthan Trip. Post breakfast enjoy guided sightseeing. Delhi has lot more to explore. 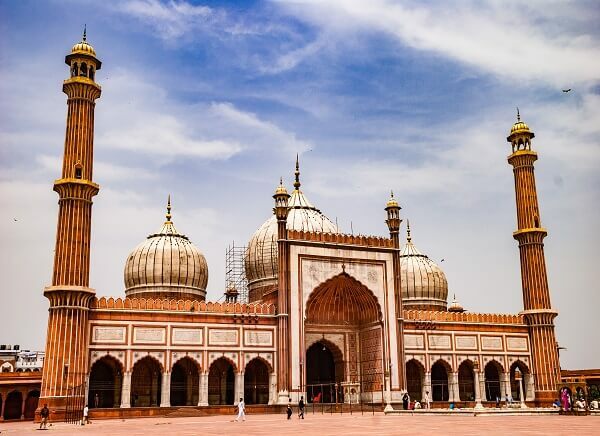 Begin with old Delhi and visit Jama Mosque one of the largest mosque of India. Drive past to Red fort followed by Rickshaw ride at Old Delhi market. After have your lunch at local restaurant and then proceed for New Delhi. This morning post leisurely breakfast heading to pink city or you can also call it “ city of surprises” as every nook or corner you will find something exciting. On arrival relax at hotel, Overnight at Jaipur. Post breakfast time to proceed to explore most stunning city of Rajasthan. 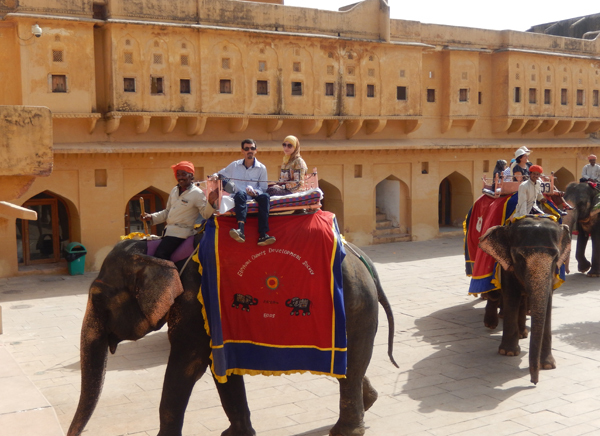 Visit Amber fort, massive fort located on hilltop and to reach there you need to take elephant ride. Drive past to Hawa Mahal and Jal Mahal followed by visit of City palace later visit to Jantar Mantar which is famous as observatory . Local market visit to buy some souvenirs. Evening enjoy light and sound show of Amber fort which gives a glimpse of history and significance of Amber fort. Overnight at Jaipur. Early morning proceed for ride of Hot air balloon. It’s a unique experience to see Jaipur city from top of it. 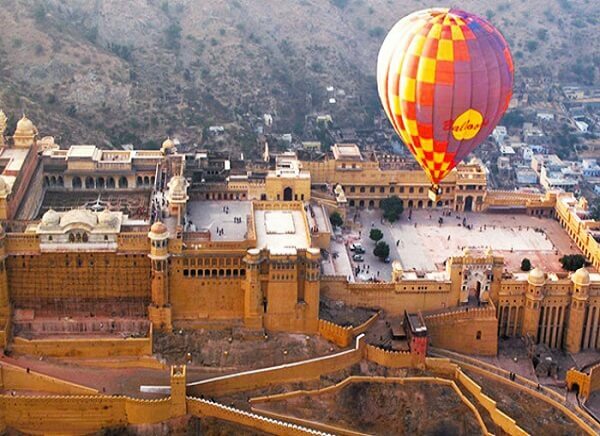 You can Capture mesmerizing view of Jaipur city while balloon ride. Back to hotel and leave for another destination Nimaj, Check in formalites, Overnight at Nimaj. Nimaj will be lifetime experience for you because your stay will be in luxury tent which are located on next to Chatra sagar lake. Best thing about this place is all tents overlooking the lake and offers panoramic views. The activities one can enjoy there is Village and farm tour by Jeep, bird watching tour etc. Enjoy your stay at Chatra sagar tents. Note: These tents are operation only 6 months from October to March only. Post breakfast leave to Jawai Bandh, Jawai is equally distant from Udaipur and Jodhpur. Jawai got its name from Rajasthan’s largest reservoirs which very close to Jawai camps. Enjoy your stay at Jawai Bandh. Jawai camps are designed in truly experimental way. Post breakfast you are free to enjoy several activities like Wilderness drive, Bird watching, Stepherd’s stroll, temple tour and rural visit. One can spot leopards while their wildness drive, Jawai is also famous as leopard camps. 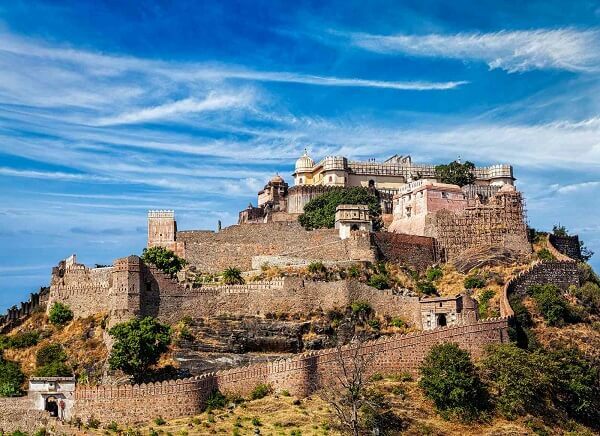 Post lunch excursion of famous UNESCO World Heritage site Kumbhalgarh fort which is 90 km s from Jawai. One can also visit another interesting place Ranakpur Jain Temples. Evening back to hotel, Overnight at Jawai camps. Post breakfast leave for Mihirgarh. On arrive check in to hotel, Later proceed to visit Mihirgarh located right in the heart of Rajasthan. 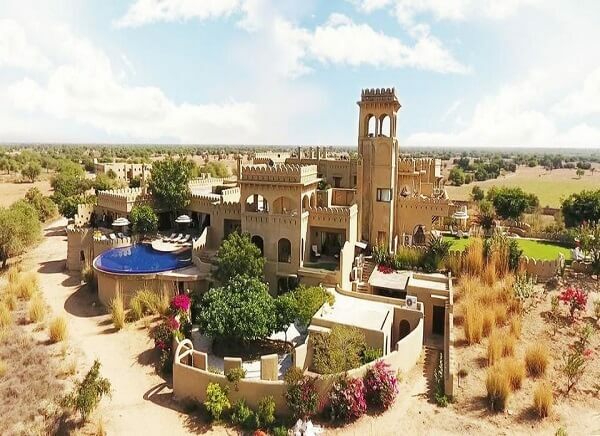 Your stay will be at Mihirgarh palace. Palace overlooks the thar desert. 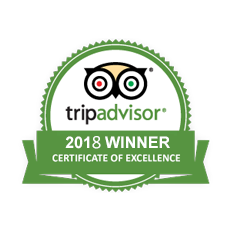 Enjoy your stay at Mihirgarh palace. Have your leisurely breakfast at hotel then enjoy signature experiences of Mihirgarh. Enjoy Bishoi village jeep safari. Bishnoi is very famous village community one can see the day to day activities, lifestyle, livelihood. The lakes around Mihirgarh attracts lot of migrating bird and that attracts bird lover. 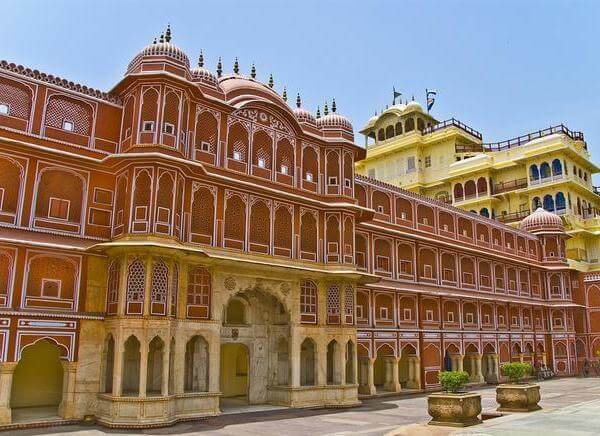 As it is very closely located to Jodhpur so one can visit Mehrangarh fort, Jaswant thada. Evening royal folk music along with Dinner and Stay at Mihirgarh. Post breakfast check out and leave for Jaisalmer sightseeing to visit Jaisalmer Haveli, Fort Jaisalmer and then back to camps. 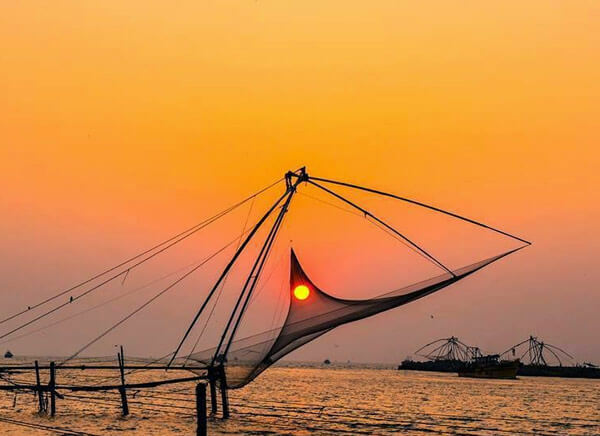 Evening camel ride with sunset view. 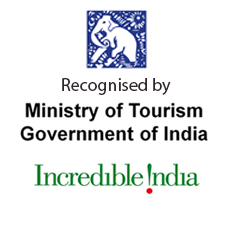 Other activities one can enjoy Temple trail and Kuldhara Village tour. Overnight at Serai Luxury tents. We take you to Dungarpur on day twelfth. While being assisted by our officials, you shift to a hotel. Afternoon trip to see the Juna Mahal Haveli which looks quite old from outside but has been well maintained from inside. Another attraction is Badal Mahal, located on bank of gaib sagar lake, Badal mahal is blend of Mughal and Rajput architecture. Thereafter, shop at the local markets. Overnight at Dungarpur. Post breakfast leave for Bikaner, Surrounded by thar desert. On arrive check in formalities. Rest of the day relax, Overnight at Bikaner. Post breakfast proceed to visit Gajner palace, Camel breeding farm. Rest of the day relax at hotel, Overnight at Bikaner. Post breakfast leave for Bishangarh . Located 55 km before from Jaipur if you driving from Delhi. At Bishangarh stay would be at Alila Bishangarh. 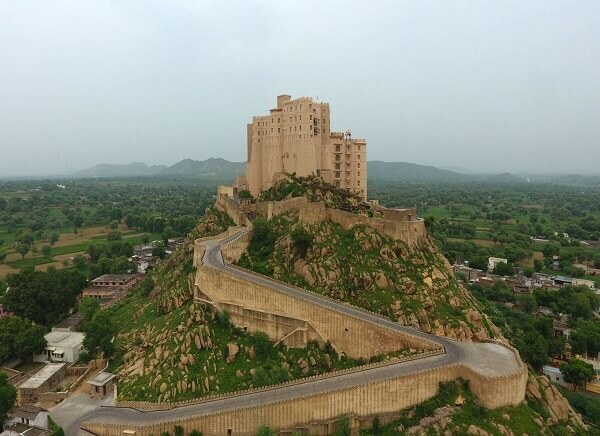 Fort perched on granite hill and offers a bird’s eye view. Enjoy stay at Bishangarh fort. Leisurely breakfast at hotel and enjoy Bishangarh village activities like village jeep safari, poetry making, carpet weaving and evening tea with local village family. Rest of the day relax at Bishangarh Fort. 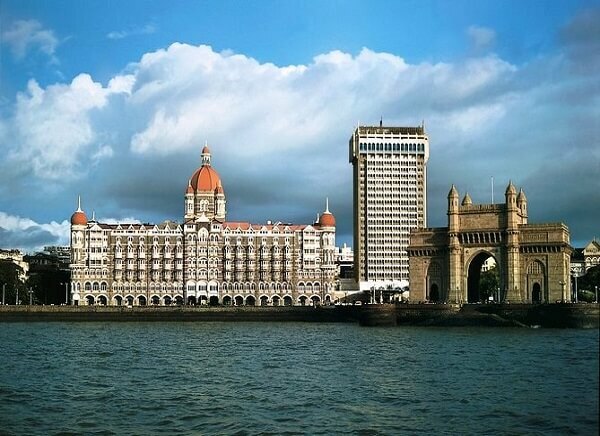 Enjoy breakfast at hotel then head to Delhi. On arrive check in to hotel and relax, Overnight at Delhi. Post breakfast drop to Delhi airport to board on onward flight, Tour Terminates Here.